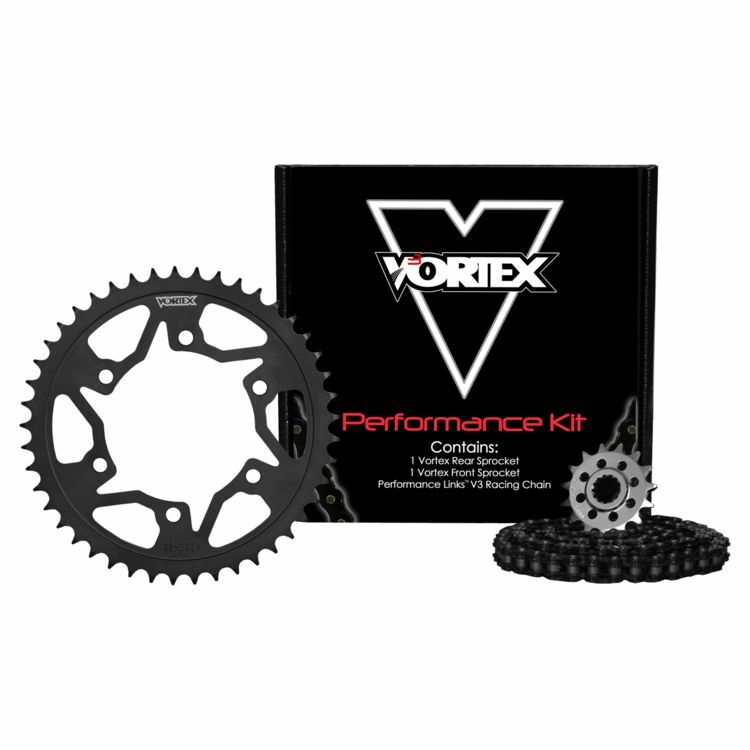 Vortex V3 WSS Chain and Sprocket Kits are designed to replace your worn out OEM equipment without changing gearing or chain pitch (most models). Steel sprockets and an SX3 or RX3 chain mean these kits are ready to go the distance without breaking the bank. All kits are bike specific and do not require cutting or modification for installation. Note: Images are for reference only, actual chain and sprocket kit will vary slightly depending on your bike's made and model.